In a public statement, the AMS announced the cut to SASC’s support services to “focus SASC on education, outreach, advocacy and an integral role in ongoing assistance for AMS human resources, clubs and constituencies’ responses to sexual violence.” A few hours after the announcement, they also announced that they will be hosting a townhall on July 5 regarding the changes. As of September 1, the AMS is ending all support services within their Sexual Assault Support Centre (SASC). While the AMS said that this will help concentrate support around UBC’s Sexual Violence Prevention and Response Office (SVPRO) and allow SASC to focus on outreach and advocacy, the decision has generated intense pushback from those inside the centre. “We have now realized that SVPRO’s office is well-equipped to start offering services to students that are intersectional, inclusive as well as accessible, to all,” said AMS President Marium Hamid in an interview. 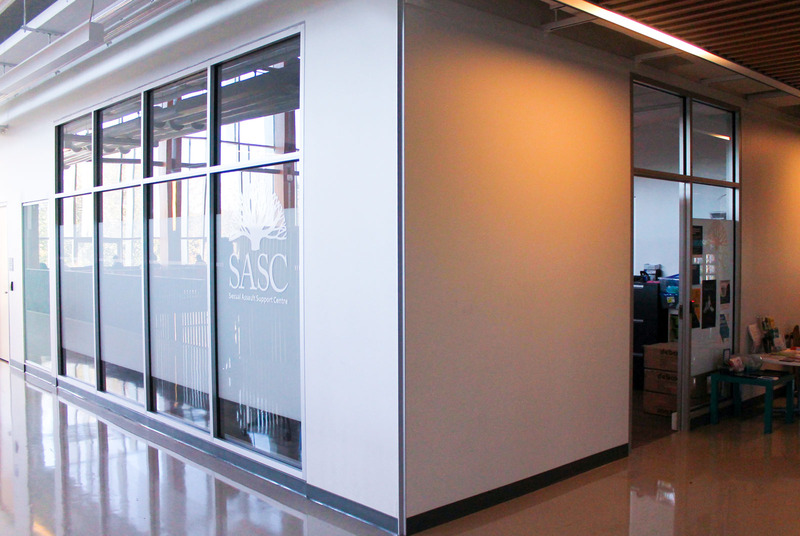 According to the AMS, SASC was created in 2002 to fill a gap in support services on campus — with UBC’s own office now up and running, the gap no longer exists and SVPRO can serve as the “one centralized space” for survivor support. “SVPRO has an increased capacity, which is afforded to them by the virtue of being the one single point of contact within the university system,” said AMS VP Academic and University Affairs Max Holmes. SASC staff members said that the change will have extensive impact on the community, removing a valuable on-campus option for sexual violence support that existed outside of university administration— and one that was also playing an important role in keeping the AMS itself accountable on issues of sexual assault. “Institutional violence is real. There needs to exist an organization or a service outside of the institution that is supportive: truly supportive of survivors, truly survivor-centric, in that we’re not trying to protect the institution,” said a SASC staff member. “These people care about students, but they’re also part of that political landscape,” said another SASC worker, adding that they were shocked when they found out about the change. The AMS said that they consulted with former SASC managers in a long process of making the decision, but there has been little consultation with the current SASC team or the wider survivor community, according to SASC staff members. In an Ubyssey article published earlier this month, Holmes questioned decisions that were made by UBC without adequate student and survivor consultation and was vocal about the crippling lack of awareness of SVPRO on campus. In the society’s 2018 Academic Experience Survey (AES), a fifth of respondents said they would not feel comfortable accessing SVPRO. 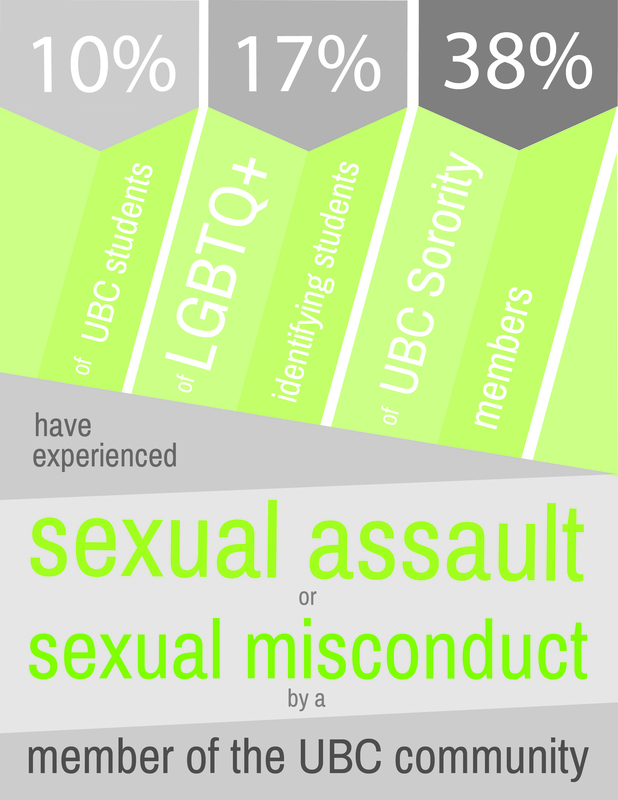 Around the same number said that UBC had not done a good job of communicating available support resources for survivors of sexual assault. Holmes explained that most of those respondents also distrust SASC as a resource. The decision was made by the AMS executive and communicated to the SASC at a June 8 meeting, which also included Hamid, Holmes, Managing Director Keith Hester and UBC SVPRO Director Sonya Boyce. Holmes said that while the AMS had conversations with UBC to ensure that they could be convenient in SVPRO’s abilities to carry out support work, UBC had no bearing on the decision-making process. “The decision was entirely made by the AMS executive, UBC was not involved in the decision-making process,” he said. The change was then communicated to AMS Council at the June 19 meeting during an in-camera session. Now onto a discussion period on SASC, the AMS' Sexual Assault Support Centre. Hamid is moving to hold the meeting in camera (which means we get kicked out). As Council went into the closed session, they passed an additional measure to bar AMS staff — which included the SASC staff present at the meeting — from remaining in the room. AMS has also removed the director of SASC and two other SASC employees from the meeting, as well as a visiting alumna who previously worked for SASC. Layoff notices have been sent out. Of the SASC’s seven current staff members, three have been terminated, effective September 1. As the AMS is currently hiring a manager for the centre, Hamid and Holmes said upcoming positions to reflect the new job mandates — but they are not currently sure how many positions they will hire or what exactly they will entail. “It’s also going to be playing an enhanced and integral role in ongoing assistance for human resources, clubs’ and constituencies’ responses to violence, to make sure that we can also really take an internal lens about what’s happening within all of these organizations,” said Holmes. 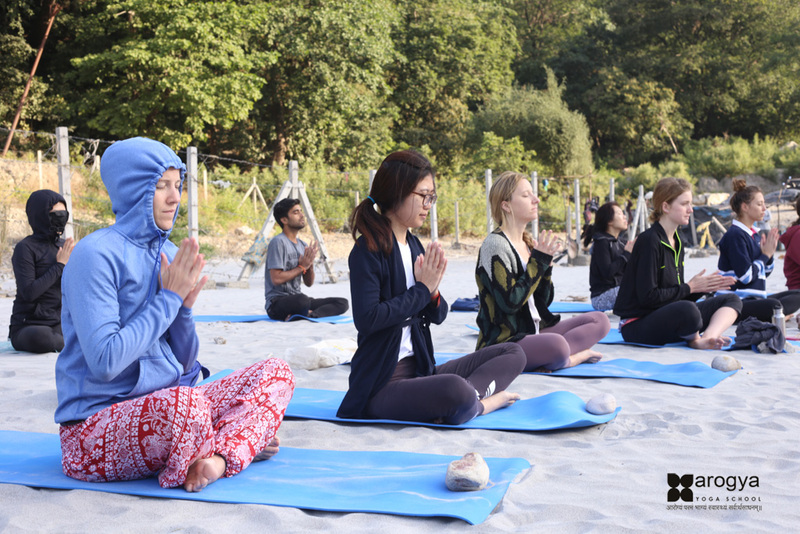 But SASC support staff said that their ability to carry out informed and survivor-centric training and other outreach initiatives will be significantly impaired when they do not have staff consistently supporting the community. “A lot of our workshops and a lot of our outreach is informed by our support work, is informed by survivors. And so without that side of the coin, outreach will cease to exist, education will cease to exist as we know it,” said Nour Kachouh, SASC volunteer and outreach coordinator. While SASC is open from 8 a.m. to 10 p.m., seven days a week, SVPRO is currently only open from 9 a.m. to 4:30 p.m. on weekdays. Hamid said that the AMS is now considering cutting down SASC’s hours to reflect the change, since SASC initially extended their hours in February 2017 to allow for extended reach of their hospital accompaniment service. Instead, SVPRO will be taking over that task. But as reported in late 2016, another reason why SASC extended their hours was to match student needs after they found that many students had classes during the service’s original operational hours. “[Survivor-centric] isn’t a buzzword,” said a SASC team member. The AMS has released a statement on the change. Several hours after announcing their decision, the society announced they will be hosting a townhall on July 5 regarding the changes to SASC, with the exact time and location to be determined. (1/2) The AMS will be holding a town-hall on July 5th (time and location to be determined) to hear all community members concerns and questions, in regards to the changes announced about SASC. SASC has published a letter in The Ubyssey. This article has been updated to include a clarification from Max Holmes on data collected by the 2018 AES.